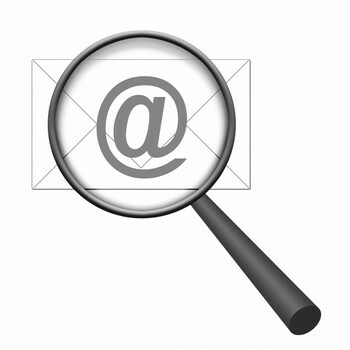 Email address validation is much more than simply checking your list for valid email addresses. It also checks for valid headers to ensure that email is being sent and received to the correct mailbox. The last thing you want is your emails being relayed all over the Internet and bounced from server to server without knowing where it’s going. Your users may end up doing their own validation and you might come off as a spammer. When you create your newsletter or send out emails to your users, the one major thing you want to check for is valid links. This consists mostly of actual page links, but in the least, you want to make sure your domain is pointed right. This will ensure that your users can match your email address to the domain you have listed in the message. If your links are dead or full of typos, you’re not only reducing your click through rate to zero, but you’re also tampering with your reputation. It should be fairly obvious how to make sure your links are valid, but just to be sure, you should always copy and paste a link directly from the page you want to link to. Another good thing about always placing domain links in your messages is because if that person forwards your email to other people they think might be interested, you’re going to get instant promotion. This is more true when it comes to producing ebooks that are loaded with backlinks to your site. Who.is – The reason I like this service so much is because it will check every single domain extension in existence. It’s also super easy to remember. The only downside to this site is that it’s loaded with adverstisements, but once you get used to the navigation, you’ll be fine. FreeWho.com – I use this site half the time, but only because I used to use it all the time until I found the one above. The advantage here is no advertiseing, it’s usually very fast and it too is also easy to remember. But the downside is that it only supports 6 domain extensions (com, net, info, org, biz and us). GoDaddy Whois – Another great search tool especially for those domains that have special business contact info. GoDaddy formats this information much better than some of the other whois servers. Drawback: you must enter a captcha code unless you’re logged into your own GoDaddy account. Of course there are thousands and thousands of other whois services out there. As long as you get the info you need, any one of them will work. SPF (in email terms) stands for Sender Policy Framework. It is an anti-spam measure that allows domain owners to control the emails that pass through their servers based on domain name. Essentially a server admin can allow only certain hostnames to send email over the web server. This generally stops forged mail from coming through. In case you didn’t know, most email servers are relatively open. This means that with the right settings, I can send an email off of some other webserver using my own email address. It’s called a relay and it’s like piggybacking. An example would be if I sent an email to your address from my address, but used Yahoo!’s servers to do it instead of yours or mine. An SPF record created by Yahoo! would prevent me from doing this because my computer (host) is not on their network. It’s certainly not fullproof and it shouldn’t be considered the end-all for spam, but it’s a great start. I wouldn’t be given SPF justice if I tried to explain everything here, so please check out the SPF group website called OpenSPF. To view more specifics on this technology, check out their FAQ page. Covers – It keeps you covered. One example would be if you told your users up front that you would send them 20 emails a day and they still signed up, then they would be liable for the “spam” that they get from you if they wanted to complain. Informs – It informs your users of an potential 3rd party emails that might be coming their way. Let them know if you work with other partners and wish to send them special offers. Protection – It protects your users from themselves. As mentioned above, your users won’t have a leg to stand on if they don’t abide by or understand your policy.